Happy Holidays, everyone! For the past three years, I've tried to spread my family's tradition of making donations in each others' name during the holidays, and now it's that time again! This year's prize is a pack of some of my favorite books released this year, as well as a $50 donation in the winner's name to my favorite non-profit, We Need Diverse Books. So, whether you're celebrating Yule, Kwanzaa, Hanukkah, Christmas, or another winter holiday, I hope you'll enter! Why these books? They were my favorite reads of 2017! 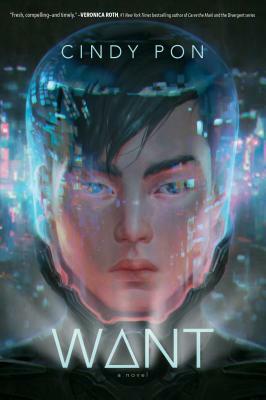 WANT is a near-future sci-fi thriller that grapples with issues looming large in our own future - pandemics, the destruction of the environment, and the widening gap between rich and poor. THE HATE U GIVE is a contemporary drama about a girl facing the all too current issue of police brutality against African-Americans. It was a nominee for this year's National Book Award, but that didn't stop a Texas school district from trying to ban it just a few days before this giveaway went up. All the more reason to read it. I have it on good authority that it will make your heart race. 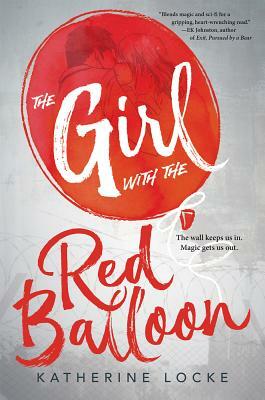 THE GIRL WITH THE RED BALLOON mixes historical fiction, time-travel, and magic in a way that will move anyone without a heart of stone. 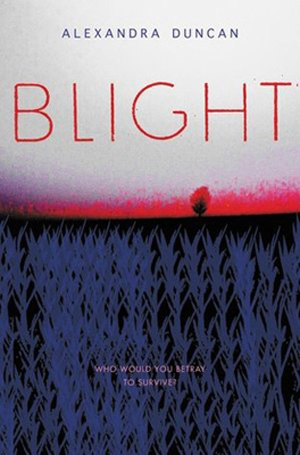 BLIGHT is my most recent novel, an eco-thriller about two teens with opposing loyalties who must race against time to save their world from a deadly blight that kills everything it touches. I will donate $50 in your name to the non-profit We Need Diverse Books, which works to increase diversity in children's books and make sure every reader has the chance to see themselves in the books they read. If you'd prefer to have the donation made in the name of a friend or loved one, let me know! Runs through Dec. 20, 2017.